Maritime Multicam Camouflage Uniform (MMPU) is a new and unique camouflage developed exclusively for the Royal Australian Navy (RAN). Available in MMPU Sea and MMPU Shore versions. MMPU Sea has the fire retardant and antistatic properties. The fabric maintains its FR properties after laundering and exposure to sea water. Australian Multicam Camouflage Uniform (AMCU) is a multi-terrain capable camouflage for land close combat operations, all other land operations, field training, as well as a dress of the day uniform. The AMCU is made from a new hybrid pattern and colour palette that combines the pattern features of the Australian Multicam Pattern with the colour palette used for the Disruptive Pattern Camouflage Uniform. Air Force General Purpose Uniform (GPU) is a functional uniform to suit the Air Forces unique working environment, to be worn within the workplace and on non-work like operational duties such as deployment on humanitarian assistance and disaster relief operations. Australian Multicam Print Camouflage (AMP) is a unique version of the Multicam combat uniform worn by US, British and Australian troops in Afghanistan. The AMP provides a greater level of concealment across the range of terrains in Afghanistan – urban, desert and green. Suitable for both combat and field environments. Disruptive Pattern Camouflage Uniform (DPCU) – developed by using aerial photographs of the Australian terrain to determine which colours and patterns would be most suitable for camouflage uniforms. The standard DPCU works in areas from arid bushland through to tropical jungle all over Australia. Disruptive Pattern Navy Uniform (DPNU) is the naval version of the DPCU. 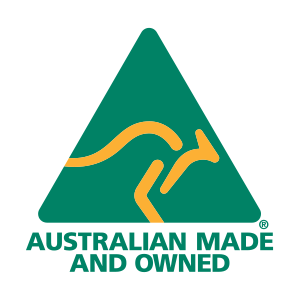 Designed to align with the other Australian services which use the distinctly Australian pattern, making personnel identifiable as Australian naval personnel. The fabric is flame retardant and maintains its FR properties after laundering and exposure to sea water.